Benita, is this a photo or a painting...or a photo you filtered? Either way it's lovely! Kim, thank you so much! 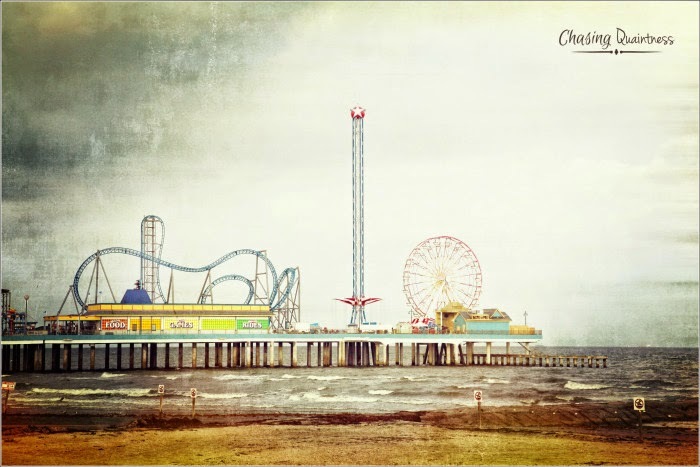 It is a photo that I took of the boardwalk in Galveston. I used a vintage color and texture on it to give it the “painted” effect. I don’t like to do a lot of altering to photos, but every once in a while, I experiment with them. Have a great evening! Brenda, thank you so much! Have a great evening!